Carolyn Diane Phillips of Easton, PA passed away December 21, 2010 in Bradenton, FL after a long courageous battle with cancer. Born: in Easton, PA on November 22, 1938, she was a daughter of Donald and Mary Mekolites Kummer. Personal: She was the wife of the late Albert Phillips, Jr., married for 36 years. 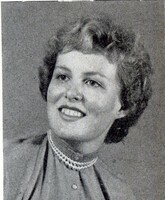 Carolyn graduated from Easton High School in 1956. She resided in Morrisville, PA for over 25 years and retired from Radiology Affiliates of Trenton, NJ. She will always be remembered as a loving wife, mother, grandmother, sister and friend. As a woman who always put others first, her lifelong dedication of kindness towards others and her genuine love for life will be greatly missed. Survivors: She is survived by her son Craig Phillips of North Wales, PA: and two daughters, Cindy Phillips of Holmes Beach, FL, and Cathy Schino of Draper, UT: three grandchildren, Samuel, Gabriel, and Makena; three sisters, Dolores Connolly of Easton, PA, Helen McCall of Grants Pass, OR, and Donna Smull of Orefield, PA; and several nieces and nephews. Services: The family intendes to celebrate Carolyn’s life during a service at Arndt’s Lutheran Church, 1851 Arndt Road, Easton, PA 18040 on Thursday, December 30 at 11 a.m. followed by a luncheon where all are welcome. Memorials: In lieu of flowers, please send donations payable to: North Penn Boys and Girls Club, 16 Susquehanna Avenue, Lansdale, PA for the Albert Phillips Jr. Family Scholarship Fund.